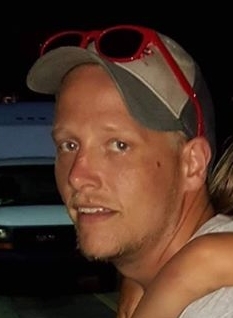 Clifford Justin Hamrick, 30, of Elkins passed away on March 16, 2019. Born November 29, 1988 in Elkins, he was the son of Richard and Alice (Marsh) Hamrick. Justin was a 2005 graduate of Mountaineer ChalleNge Academy. He was a logger for Circle D Timber and enjoyed repairing small engines in his spare time. He liked to spend time riding ATV’s, camping, and hunting, and also liked to spend time with his daughter, Addison Paige. Left to cherish his memory are his parents, Richard and Alice Hamrick of SC; brother, Scott Jackson Hamrick of Elkins; daughter, Addison Paige Hamrick; and a host of other relatives and friends to mourn his passing. Services to celebrate Justin’s life will be held 2 pm, Wednesday March 20, 2019 at Dodd & Reed Funeral Home, Webster Springs. Friends may join the family for visitation two hours prior to the service time at the funeral home.